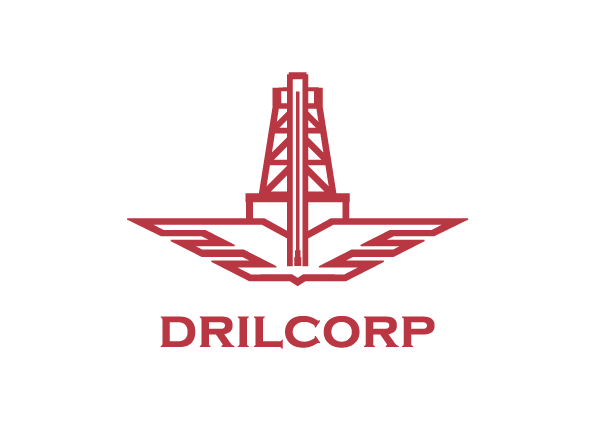 Drilcorp was established to serve the growing demand for independent water supply to the public and commercial sectors and has established itself as one of the leading companies in drilling and borehole related services. Its divisions now include Drilcorp Drilling Services (DDS), Borehole Engineering Services (BES) and Geotechnical Exploration Services (GES). Our clients include Public Utility Companies, Government Bodies, Consultants, Food and Drink Manufacturers, Hospitals, The Agricultural Sector as well as domestic customers. In the Mining and Quarrying Sector GES regularly carry out work which involves, Ground Investigation, Mineral Exploration, Water Monitoring and site investigation works. 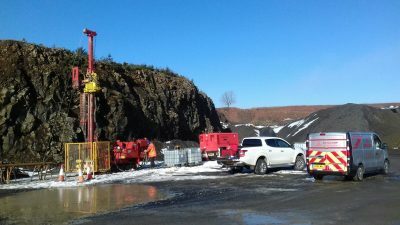 In a recent project GES drilled a series of five boreholes to a depth of 25 metres to establish a depth of a known valuable rock for a drill blast report for a quarry owner. They also regularly work close with the Environment Agency installing water monitoring points as part of the regulations surrounding groundwater aquifers, mining and quarrying. DDS predominantly carry out services commissioned by the coal authority to dewater mines where there is a risk to the drinking water aquifers becoming contaminated, as well as methane extraction, water wells for dust suppression and geothermal energy. Following increased demand in the market it soon became obvious that we could offer a much broader range of services and before long our BES team was developed. Our skilled in house engineers are dedicated to borehole rehabilitation, CCTV Surveys, decommissioning and specialist installations. Drilcorp provide a unrivalled level of service to all of our clients needs from inception to completion.